Click here to read an article about our second night Passover Seder in the Warwick Beacon. Click here to read the same article in the Cranston Herald if you prefer! The Jewish Congregation Or Chadash, meaning New Light, comprised of former members of Temple Am David in Warwick have a new home in the Episcopal Trinity Church in Pawtuxet. On Sunday afternoon members of the congregation carried three Torahs that had been bought at the auction of the former temple furniture and holy items. WARWICK, R.I. — It could be considered a tale of three religions involving a Jewish congregation, the state’s only Hindu temple, and an Episcopal parish. On Sunday, Congregation Or Chadash marked its move from the Hindu temple that once served as its home to its new home at Trinity Episcopal Church in Cranston with the ceremonial carrying of its three Torahs through Pawtuxet Village. “This whole event is to celebrate a new life,” said Judith Bessoff. The congregation’s name itself — Or Chadash — stands for new light, she said. Gaspee Days is a good time for a fresh beginning. Beth Veltri hadn’t thought of it that way, but the timing for a new Jewish congregation to move from its former temple in Warwick to Trinity Church in Pawtuxet coincides with the day for the closing of the celebration of the colonial defiance of British rule in 1772. 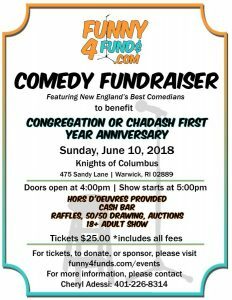 On Sunday, June 11 at 1 p.m. Veltri, who is president of the Or Chadash Congregation, and an estimated 30 members in addition to untold others from the Episcopal Church and the community will assemble near Pawtuxet Park. The park should be busy. There will be a colonial encampment with tents with local militia. There will be games for the kids and at 4 p.m. people will focus on the cove where a group will set fire to the Gaspee.